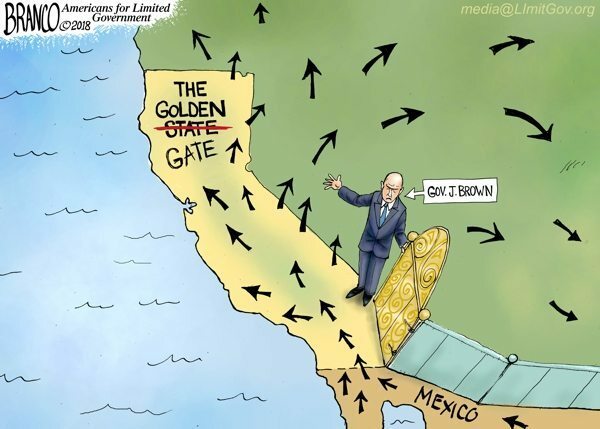 California is the golden gate to the rest of America for illegal immigrants coming from up from Central America, thanks to Jerry Brown and his fellow Democrats. Political Cartoon by A.F. Branco ©2018. Used with permission. More here.